Presidential Pardon lawyer. All States and DC practice. The U.S. Department of Justice maintains exclusive authority to pardon federal crimes. Because the District of Columbia is a federal District, DC crimes are federal crimes, thus in order to have a DC crime expunged one must seek a presidential pardon. The DC Code does grant the mayor the power to pardon crimes, however, the U.S. department of justice has interpreted this as applying to only municipal violations. Xpunge Me! 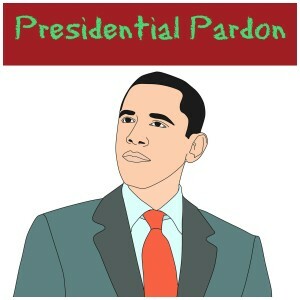 Helps DC residents and residents of every State seek relief from federal offenses by means of Presidential Pardons. If a petition is denied, one must wait two years before trying again. Put your best foot forward and consider consulting with an attorney at Xpunge Me! to help you with your petition. A pardon is forgiveness for a criminal offense. It is a strong form of social proof that the receiver of a pardon has paid back his or her debt to society, and is an upstanding citizen. Granted relief does not seal records from public view, that power is reserved for the Superior Court of The District of Columbia. However, one may be used to to justify an expungement. An extensive list of the petition process can be found here. Below is a condensed version. Persons with multiple federal convictions must include information. At least three haracter references must be provided. Xpunge Me! All States and DC Federal Pardon Practice! B. Xavier Pendergraft Esq. is a defense attorney with a passion for helping others get a second chance. Call 301-200-0777 or e-mail [email protected] for a free consultation.